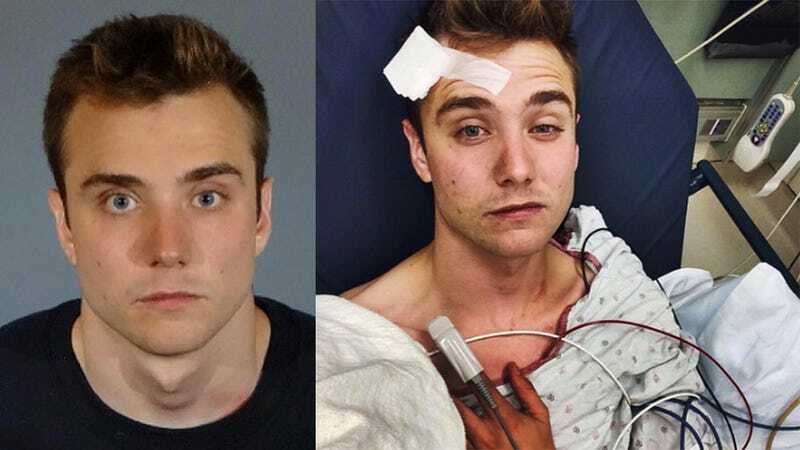 It’s not often that I get the chance to begin a Dirt Bag with the scandalous story about a gay YouTube star who was caught faking a hate crime in West Hollywood after VidCon, but here we are. It’s a devastating account of a hate crime—one made all the more disheartening after the tragedy in Orlando. The only problem is that the LAPD is saying it never actually happened. McSwiggan has yet to comment on the LAPD’s statement, but has tweeted that the silence is “killing” him. It’s looking like the Whole Foods cake all over again. Adam “Calvin Harris” Wiles is fine. Images via LAPD / Instagram / Snapchat.